A pioneering cancer diagnostics firm has rolled out its flagship product into five new European markets, with further commercial agreements expected in the Middle East and Eastern Europe later this year. 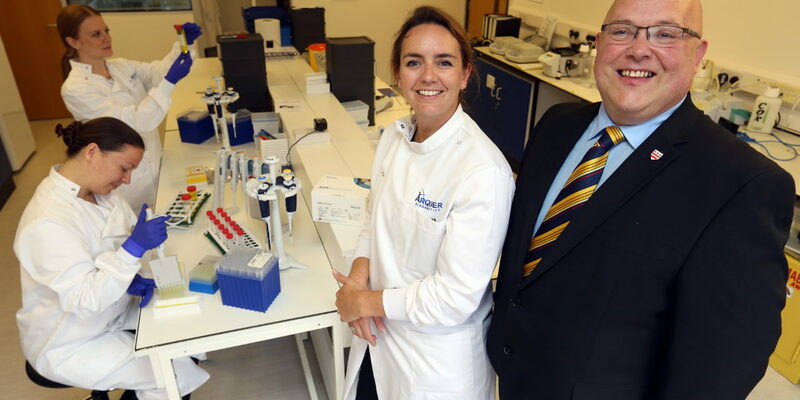 Sunderland-based Arquer Diagnostics was launched in 2015 to develop fast, accurate and non-invasive cancer diagnostic tests and has since set up clinical trials across the UK and Europe. Its first breakthrough product, the bladder cancer test ADXBLADDER, was released commercially last year. Unlike the painful and invasive cystoscopy test for bladder cancer, which involves a tube with a camera being inserted into the bladder through the urethra, Arquer’s product is entirely non-invasive. Via a small urine sample, it is able to give a ‘yes/no’ cancer diagnosis in as little as three hours, with 95 per cent accuracy in detecting higher risk cancers and 97 per cent accuracy in excluding the presence of a tumour*. After initially launching the product in the UK, France, Italy and Turkey, Arquer has now secured commercial agreements taking it into Spain, Portugal, Germany, Belgium and the Netherlands. Negotiations with potential commercial partners in the Middle East and Eastern Europe are also close to being successfully completed, with a US launch scheduled for 2020. The business is also aiming to revolutionise testing for several other types of cancer, growing its North East presence in the process, as CEO Nadia Whittley explains. She said: “Our future plans involve the launch of at least three new products for three new cancer diagnostic indications. These will be similar to our bladder cancer test in that they will fill a huge gap in the patient’s diagnostic pathway. Practically, this means we will continue to invest in expanding the research and development facility in Sunderland and adding more local talent to our team. Arquer currently employs 11 full-time staff at its base in the North East Business & innovation Centre (BIC) in Sunderland. Its success has been supported by three institutional investors – including Northstar Ventures in Newcastle – who collectively have injected around £4 million into the firm. 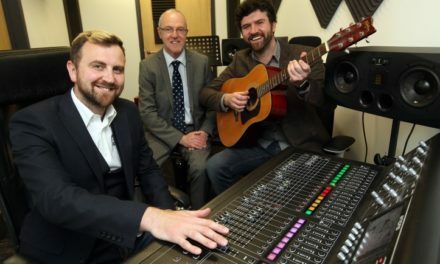 The company has also been backed by Sunderland City Council, which provided support and advice to enable its early stage activities. Arquer’s work is backed by four international medical advisory boards, which bring together highly respected clinicians from Europe and the US. The company is running trials throughout Europe, working with leading urologists who specialise in bladder, prostate and other cancers. The firm has also worked closely with various UK healthcare bodies, including University College London Hospitals, North Cumbria NHS Trust and Sunderland Royal Hospital. For more information visit www.arquerdx.com. To find out more about investing in Sunderland visit www.makeitsunderland.com.